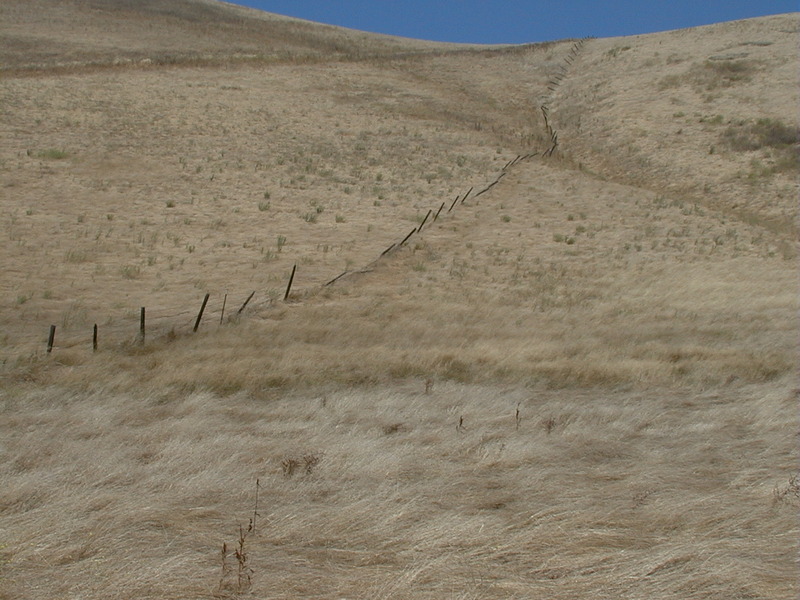 4.2 miles looping through grassland west of the Altamont Pass. I know more than a few City dwellers (especially those on the west side) who are feed up with our summer gloom. This Los Vaqueros hike will give fog-weary folks a healthy dose of hot! While you're hiking keep an eye out for tarantulas wandering the hillsides looking for love. Early spring, when the grass is short and the flowers are blooming, is sublime. Golden eagles nest at Los Vaqueros; your best chance to see them is late winter to early spring. Los Vaqueros has two separate, non-contiguous areas -- check out the northern trailhead via Marsh Creek Road. Los Vaqueros is hike number 26 in 60 Hikes in 60 Miles: San Francisco (third edition). Read about this hike on BAHiker. It's incredibly easy to drive right past Upper Stevens Creek Canyon's trailhead -- there is no parking lot on Highway 35, just scant roadside parking. This 5.5 mile loop descends on fire roads, then climbs back to the trailhead on a narrow path. The mostly-shaded hike passes through mixed woods (lots of madrone, oaks, California bays, and some Christmas tree farm escapees) and is quiet and lonely.